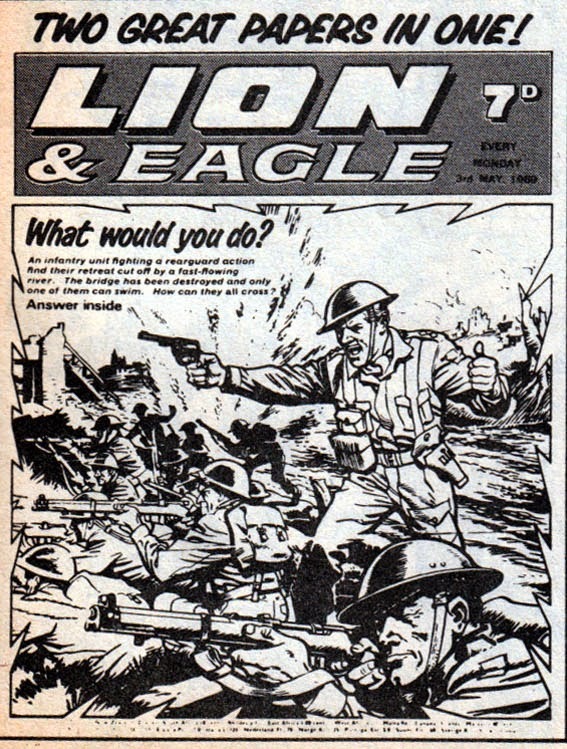 Final issue of EAGLE, April 1969. 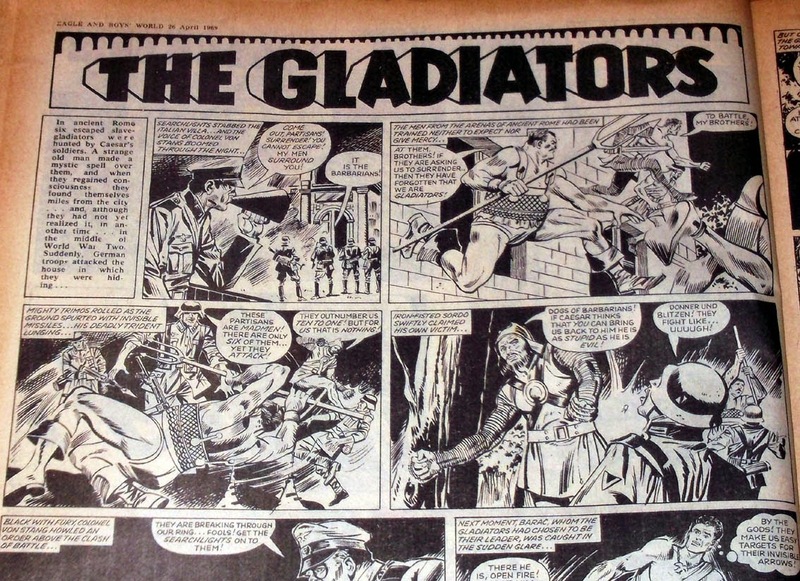 Exactly 45 years ago today, the most famous adventure comic in Britain ended its 19 year run. The final issue of Eagle bowed out on Wednesday April 23rd 1969 (cover dated April 26th) with Vol.20 No.17. I'm sure the cover above must have raised a wry smile with older readers. 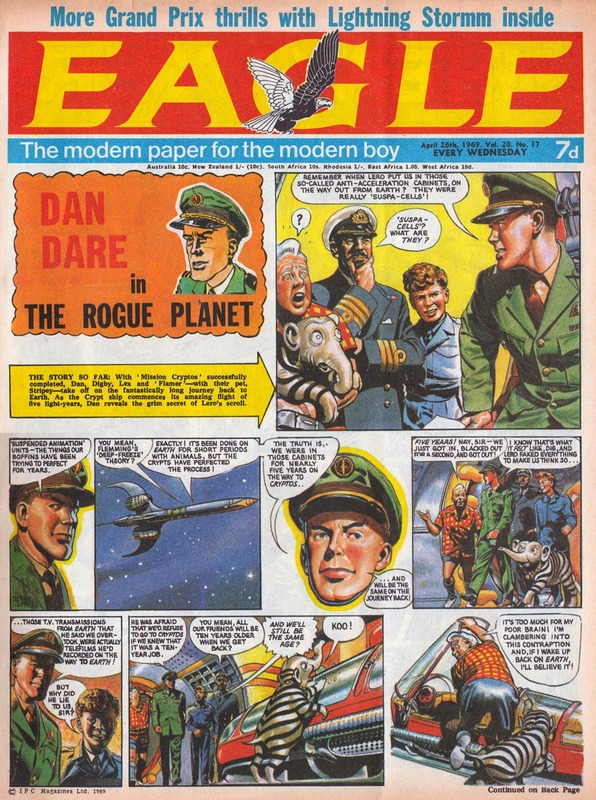 "The modern paper for the modern boy" led with a 1950s Dan Dare reprint! 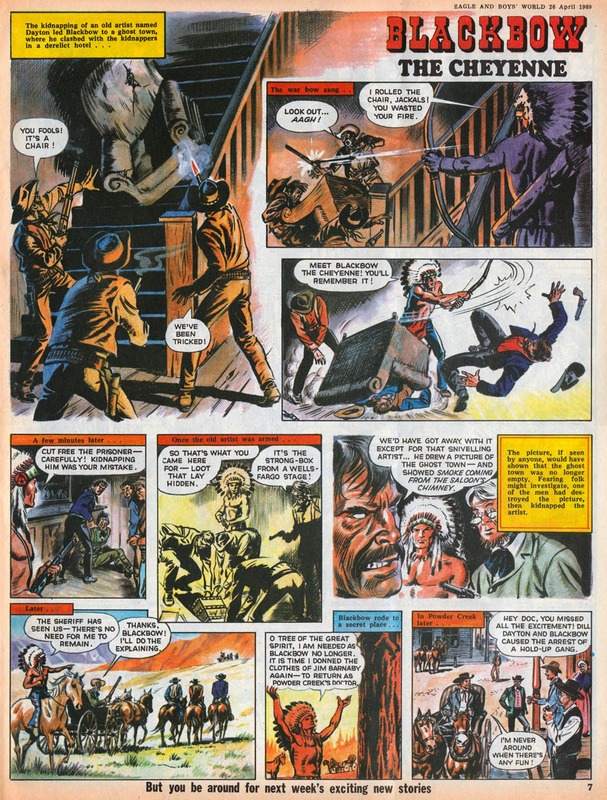 Having treated Dare's creator Frank Hampson disgracefully (see Alistair Crompton's book Tomorrow Revisited for the full story) and replaced him on the strip years earlier, the publishers had then added more insult by replacing the new artists with reprints of Hampson's work (without paying him of course). 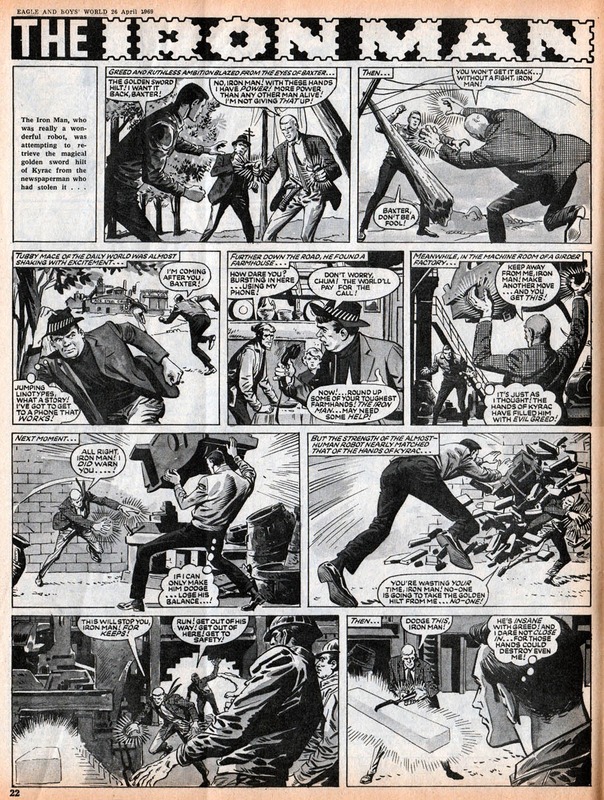 The first strip inside the issue was The Waxer. A creepy serial about living waxworks, it was illustrated by Reg Bunn, famed for his work on The Spider for Lion. 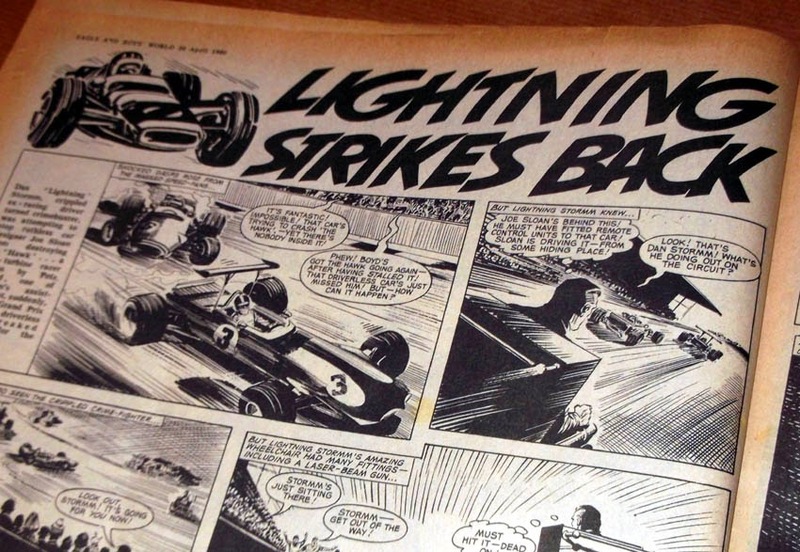 The wheelchair-bound crimebuster Lightning Stormm was clearly inspired by TV's Ironside. Art by Barrie Mitchell. By 1969 Western strips were nowhere near as popular than in their 1950s heyday, and this was the final bow for Blackbow the Cheyanne. Art by Frank Humphries. 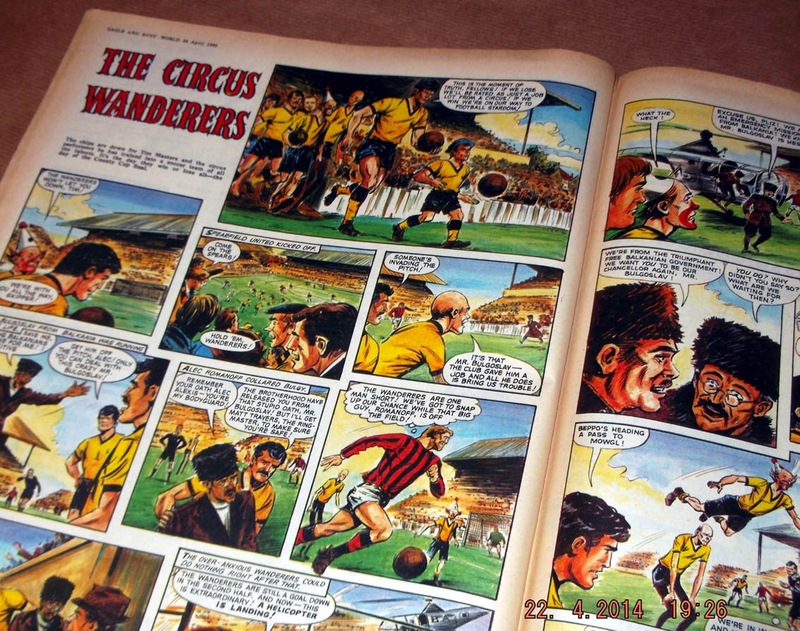 The Circus Wanderers had been given the full colour centrespread for some reason. A somewhat silly strip of circus performers becoming footballers, it never made the leap to the merged comic. What's that? Merged comic? Yes, the next page explained it all, with a typical "Great News, Pals!" announcement. Eagle was merging with Lion! Ironic, considering they were originally by rival publishers, and that Lion was the younger upstart, initially a poor imitation of Eagle. 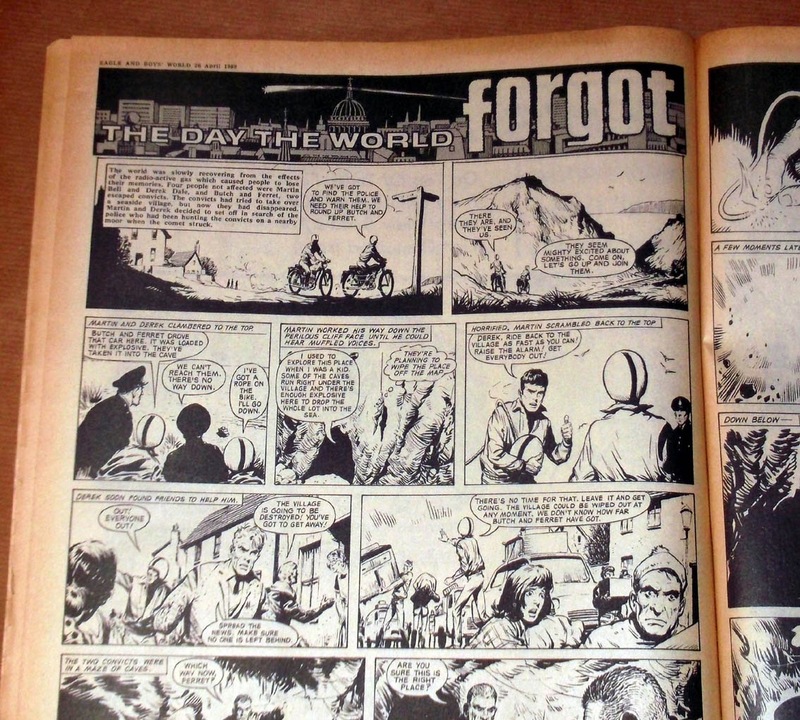 Over the page, The Day the World Forgot, with art by Tom Kerr, may have been a reprint from somewhere. Wild of the West was certainly a reprint. (Perhaps from Top Spot?) I think the art was by Ted Kearon but I'm unsure. Finally, The Iron Man's last adventure. Yes, Eagle had its own Iron Man superhero, although this version was a robot and bore no similarity to Marvel's character. The strip had originated in Boy's World in 1963 before moving over to Eagle. Art by Martin Salvador. 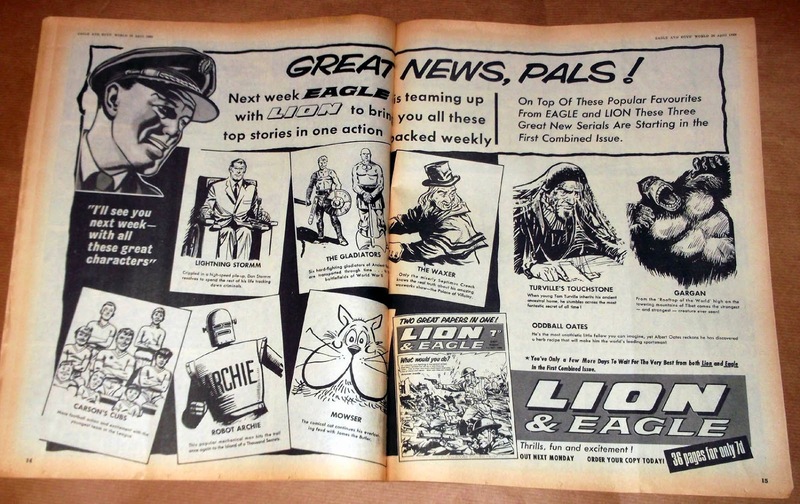 The following week, readers were greeted with Lion and Eagle, with poorer paper quality and less colour than they were used to. Admittedly the title was revived with much publicity in 1982 and ran for several years, but the true original Eagle ended in 1969. Mono version of the cover by Geoff Campion. Pretty neat. Where do you get your scans from Lew? There are those dvd of out of print comics. Are they complete comics? Unless otherwise noted, ALL of the images of comics on my blog are scanned from comics I've bought over the years. Unlike some blogs, I don't nick images from the net, or use images from pirate DVDs and pretend I've scanned them myself just to increase my hit rate. I don't post complete comics. Publishers tend to be ok with a few pages being shown for review but they frown upon the entire comic or serial being posted without permission. Can you burn a dvd for me with your comics on it? Let me know how much. 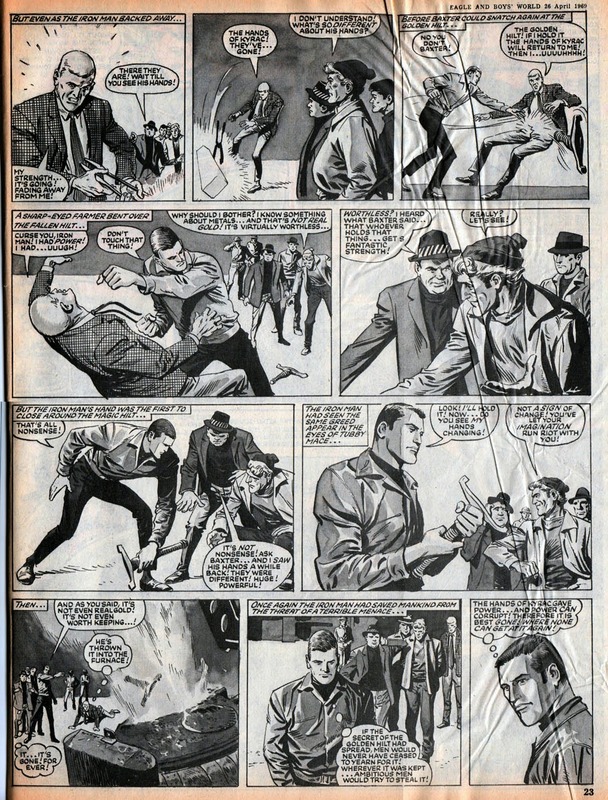 I love the old action serials. They're so reminiscent of the TV action serials, the likes of zorro, flash gordon, Tarzan, the lone ranger, etc. My favourite aspect of the original Eagle though were the big 2 page centrefold cutaways of various vehicles. Those were something else! I came to Eagle too late (1968) to appreciate its better days and the one issue I had back then didn't impress me. I've since bought quite a few more though from across its lifespan and there's no denying it was a great comic. Anon, no. I will not burn DVDs of comics. That's piracy and I do not support it. 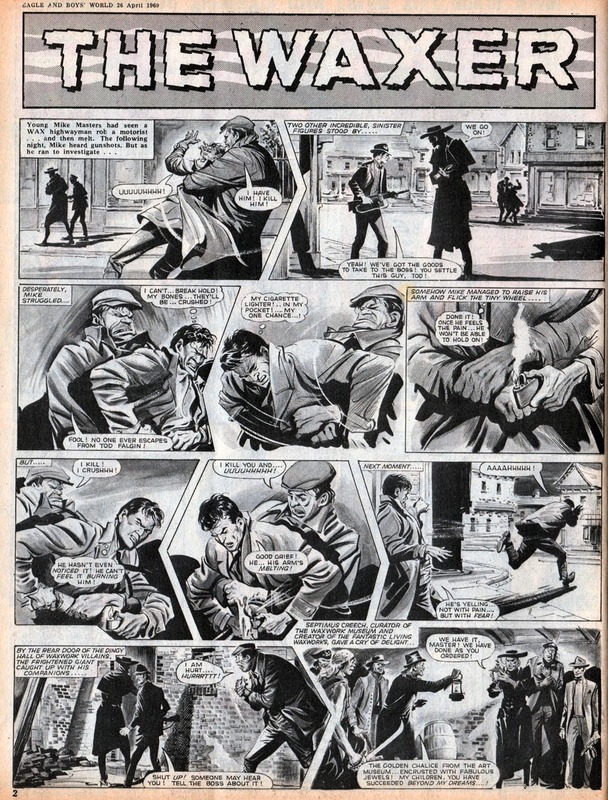 Martin Salvador did draw the Iron Man strip for a long time but I don't think that's one of his Lew. I wasn't sure myself, as it looked more like another artist, but all the references I checked pointed to Martin Salvador. I agree though Phil. It's someone else I think. 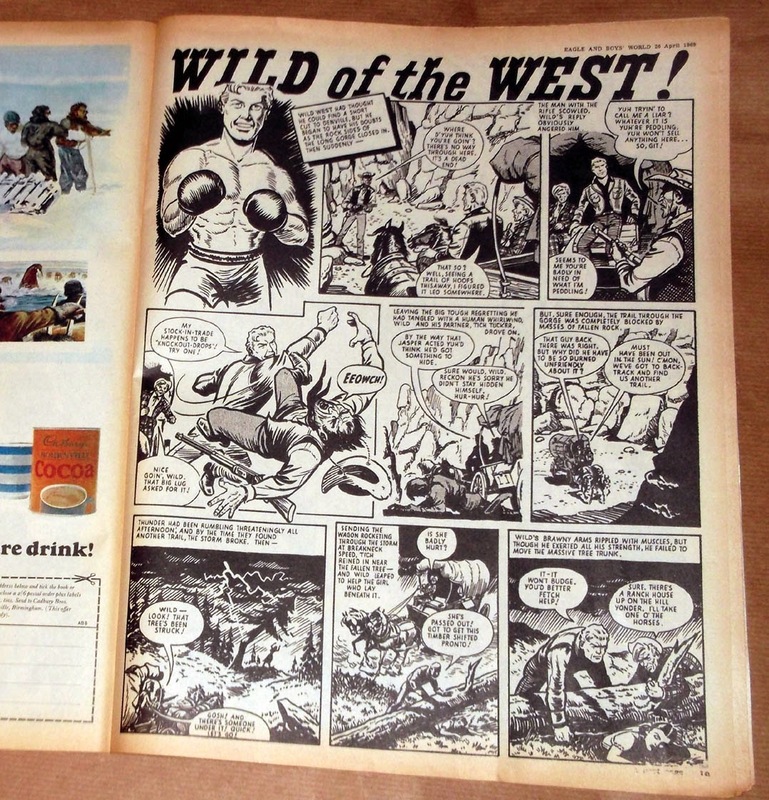 Incidentally, 'Wild of the West' originally appeared as 'Best of the West' in Lion during 1960-61. 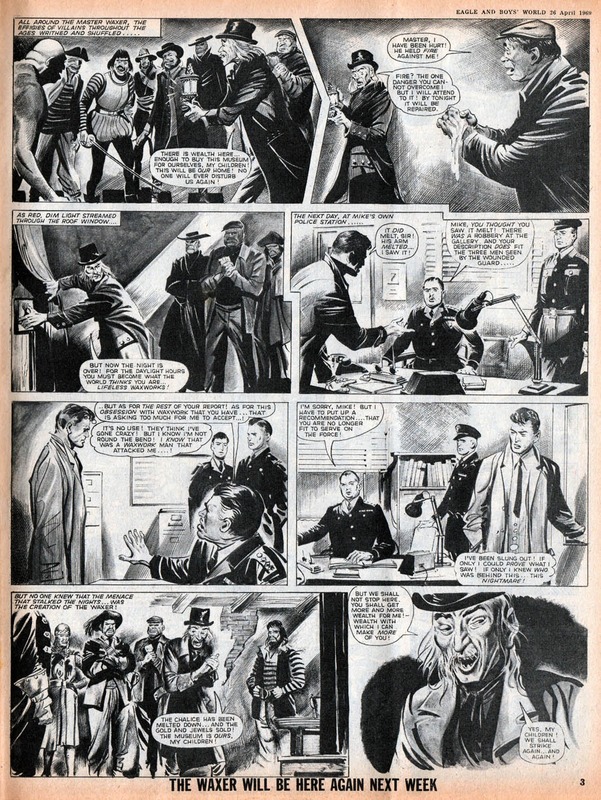 I think that particular episode is the work of R. Charles Roylance who went on to draw Captain Hurricane for Valiant. Thanks Phil. Yes, it does look like Roylance now you mention it. I'll update my post. Thanks again. Where you get you scans from?